The suspected axe murderer’s visit to his former home in the De Zalze estate was nothing out of the ordinary, his lawyer says. The suspected axe murderer’s visit to his former home in the De Zalze estate isn’t strange and forms part of his preparation for his trial. So says his lawyer, Lorinda van Niekerk, referring to 22-year-old Henri van Breda’s visit to the house near Stellenbosch last week. She declined to give any more comment. “I can’t discuss my client’s business,” she said. 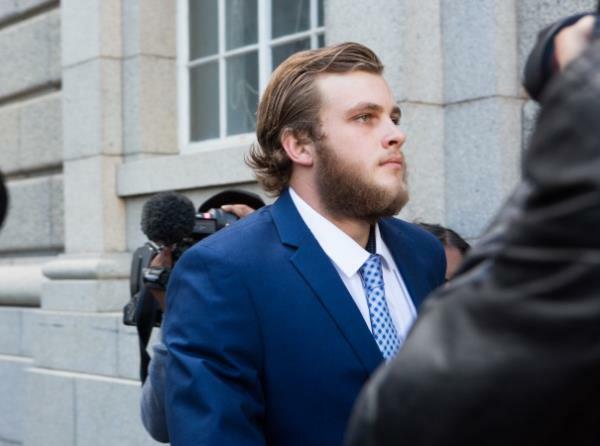 Henri’s parents, Martin van Breda (54), and his wife, Teresa (55), and their eldest son, Rudi (22), were murdered early last year in their home on the exclusive De Zalze estate near Stellenbosch. The youngest member of the family, Marli (18), sustained severe head wounds but survived. When asked for comment Martin’s brother, André van Breda, said the family wouldn’t be commenting at all. On Friday 18 November Henri attended a pretrial hearing in the High Court in Cape Town, during which his legal team asked for more details from the state dossier to enable it to do its own analysis. Rapport newspaper reports that Henri’s legal team will probably try to prove his innocence by challenging the state’s procedure in obtaining DNA evidence at the murder scene and storing it. Meanwhile it has come to light that the four-bedroom house where the murders took place has been sold by an agent of Seeff Properties for R6,2 million. Property24 indicates that the property, which has been on the market for more than a year, has been sold. Seeff declined to comment. Deon de Swardt, of Remax, who also had a mandate to sell the house, says there were four to six offers for the house, all of which eventually fell through. In June 2015 YOU reported that inside the 362 m² house there were signs of how a family lived like any other family before the tragic events that took place there. In one bedroom there was a bottle of nasal spray beside the bed. Firewood was stacked in the back yard, and on the dining room table were two candles that might have been lit for a family meal. The multiple murder remains a mystery and we’ll have to wait until March next year to get more clarity on it when the case will be heard in the High Court in Cape Town.